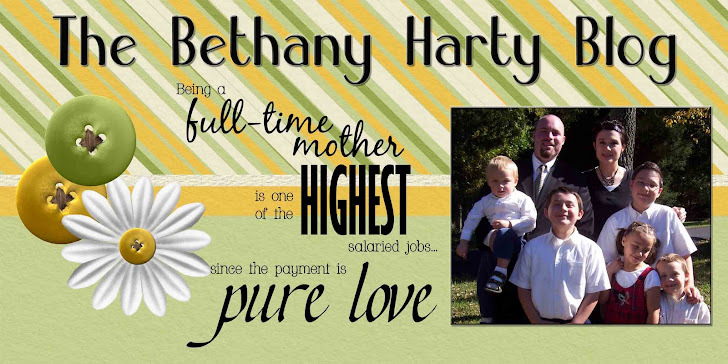 The Bethany Harty Blog: Hillbilly? You decide. A few houses up from the switchback turning down the drive into camp, there is this house. OK, it's a trailer. The guy's added on to the back. He has this little garden out front. In front of the garden is a sign that reads "TEST PLOT" "DON'T EAT; MAY BE DANGEROUS"
OK, so the guy doesn't want anyone to eat his veggies. Maybe this tactic will keep them away. I saw him out front working on the garden one day. He had silver crazy hair, a pot belly, no shirt, and old overalls. Lovely mental image for you, I'm sure. 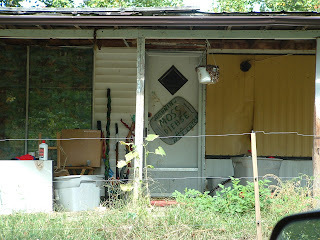 Well, I never got around to taking a pic of the vegetable sign, but I did notice, after the garden in the front yard was dying off, that there was another sign on the door. This one is priceless. It says "WARNIN: MOSS DISEASE" SO funny! Moss. . .how funny! Poor old man. .